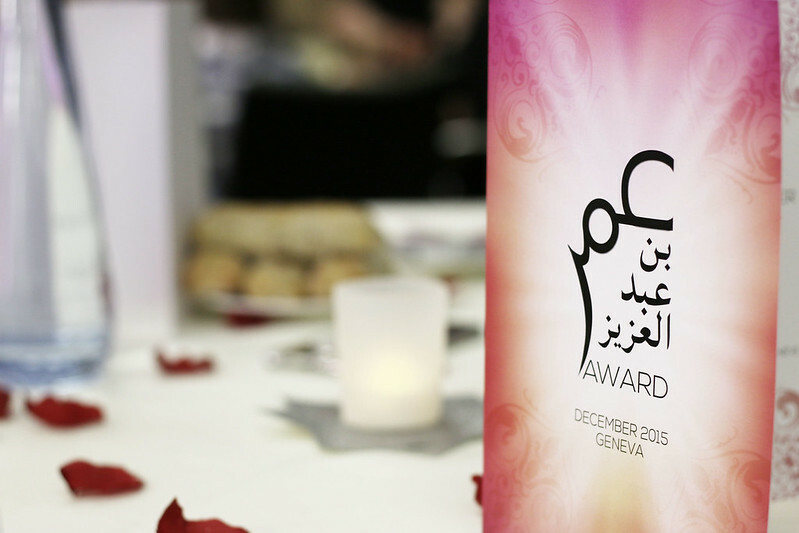 On Saturday the 26th of December 2015 the first Umar bin Abdel Azziz Award for Islamic civil activism was granted to the Egyptian satiristic poet, Abdullah El Sharif, at the Novotel in Geneva. Mr. El Sharif was granted this honor for his exceptional poetic work raising awarness against injustice and corruption in contemporary Egypt. The follwing is the keynote speech by ICCS Spokesman Abdel Azziz Qaasim Illi at the event in Geneva. I am proud to present you today with a special award – unique in its kind and unique in its aim. Within the Islamic world there is a whole slew of awards acknowledging outstanding achievements in sciences or arts. However only little attention has been payed to the commitment of Muslim activists in the field of civil society, although this is the area, where we find huge potentials in terms of intellectual, social and political development of the Islamic Ummah. After having borne this in mind for many years during his own commitment, the ICCS President, Nicolas Blancho, decided to counter this shortage by establishing the Umar bin Abdel Azziz Award to henceforth annually honor voluntarily working Muslims for their exceptional service to the Ummah. During our many discussions on the state of the Ummah, President Blancho used to point at the fact how much western governments and government subsidized organizations use to invest in encouraging civil activists to work on projects serving their strategic interests worldwide. A similar chain of projects, promoting the Islamic Worldview whether in sciences or social or even political activism seems to remain a desideratum which has yet to reach a critical level of awareness among Islamic policy makers and scholars. It was thus the declared intention of President Blancho to contribute to raising the awareness of this Ummah for those activists who have chosen to dedicate their worldly life for a noble cause, struggling within the framework of their capabilities to work towards a better and more just Islamic society. Many of those activists face the worst forms of psychological as well as physical persecution by their opponents – mainly corrupt governments who fear for their power. These courageous people deserve our appreciation. 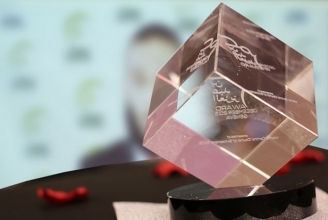 By instituting this new award the Islamic Central Council of Switzerland goes a step forward, hoping that other Islamic Organizations as well as Awqâf and governmental trusts may follow and adopt a similar pattern, encouraging and acknowledging the important efforts of Islamic civil activists. This is being done especially in Hanafite Khutbas up to these days and goes back to the order of Umar bin Abdel Azziz. The award therefore also somewhat pursues the aim to commemorate these important Islamic virtues: justice, doing good, supporting the needy, forbidding the shameful, the unmoral and the violent deeds. The award is endowed with CHF 10’000 and will tonight be granted for the first time here in Geneva. This year, the Egyptian poetic satirist Abdullah ElSharif was chosen. ElSharif is fighting grievances in Egypt by satirical film-sketches from his exile in Doha, Qatar. El Sharif had to flee his beloved homeland, more accurate Alexandria, the city where he grew up and where his family and social network is based up to these days after Abdel Fattah as-Sisi ousted the first freely elected president, Muhammad Mursi – may Allah free him – and thus launched an unprecedented and ongoing crackdown on dissidents, for most all those being Islamic activists or being related to the Muslim Brotherhood. El Sharif’s touching sketches have caught our attention a year ago, when he was invited to the ICCS Annual conference in Fribourg which ultimately was banned by local authorities – an illegal step as the Swiss Federal Court has lately ruled. The Award Jury has thus not left this dynamic and talented activist out of their eyes and watched his steep ascent to celebrity all over the Arab world. His Youtube channel now has got more than 277000 subscribers, most of his sketches have been watched over a million times on Youtube alone. He managed to perform on Al-Jazeera several times and bring his important message against the Egyptian Regime to even broader attention. El Sharif has been deemed by the Jury as an ideal type of an Islamic civil activist deserving our sincere acknowledgment. Therefor they have chosen him to be the first ever recipient of the Umar bin Abdel Azziz award. I am glad to pronounce Abdullah El Sharif the first winner of the Umar bin Abdel Azziz Award. Actually the intention was that Mr. El Sharif would attend tonight in order to receive the Award personally. Unfortunately the Swiss Foreign Department has not accepted his fully sponsored Visa request – yet another act raising further questions.